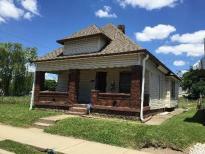 View - 306 E Caven St.
Nice 3 bedroom home on south side of Indianapolis. Home has great features like a walk out upstair balcony, back door with in-glass blinds, and covered storage in rear. Price includes vacant lot located at 306 Caven.